• Imagine getting married on the beach or overlooking the ocean, complete with a romantic sunset. We can custom design your dinner for two, or a cocktail reception, at very affordable prices. Catered dinners to suit your taste and budget can be arranged at any of our beautiful outdoor or well equipped indoor locations. 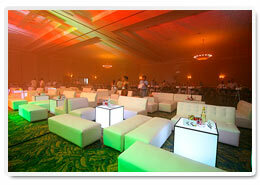 • The Clubhouse’s refined, relaxed atmosphere makes it the ideal venue for your social and group events. 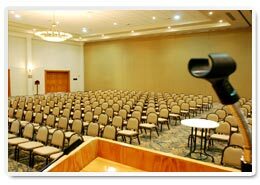 Our spacious facilities can be accommodated to host your corporate meetings, weddings and more. 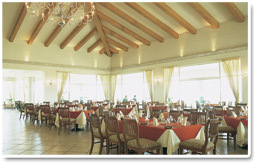 Enjoy fine cuisine, attentive service and an unforgettable, exclusive ambience. 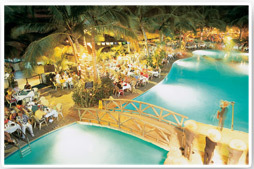 Paradise Village Beach Resorts nuevo vallarta & Spa is the ideal venue for your business or social gatherings. 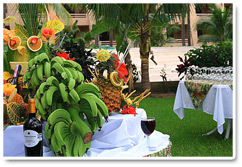 Enjoy gourmet catering, exotic theme parties and superbly organized events that can be designed to meet any budget. You can rest assured that our dedicated staff of experienced group specialists will do everything to ensure that your event is a success, from the initial planning stages through completion. • Imagine taking care of business in a serene tropical oceanfront setting far from city stress. You can... at the Paradise Village World-Class Conference Center. Here you will find sophisticated facilities that define executive privilege: 11,561 square feet of beautifully appointed and fully equipped meeting rooms, flexible floor plans, unparalleled event services, abundant outdoor function space, the most sophisticated audiovisual capabilities, business center, as well as fine dining and catering for every occasion. Conference Center Our new deluxe convention center was conceived with flexibility in mind. Whether you’re planning a board meeting for an intimate group of 20 or a seminar, conference or banquet for as many as 600, our facilities are ideal. Choose from a variety of setups and locations from our comfortable indoor and outdoor facilities. • In-house state-of-the art audiovisual department. • Business Center offers modern facilities and office services. • 15,435 total square feet of flexible meeting space. • 11,561 square-foot Grand Ballroom, divisible into three sections, accommodating up to 1,250 for receptions and 600 for banquets. 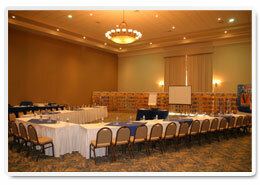 • Boardroom totaling 3,874 square feet, accommodating groups from 20 to 300. 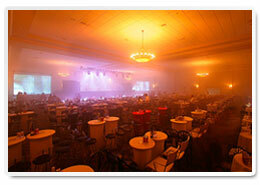 • Independent Air Conditioning, Acoustic divisions, rugs, surrounded audio, digital light control.